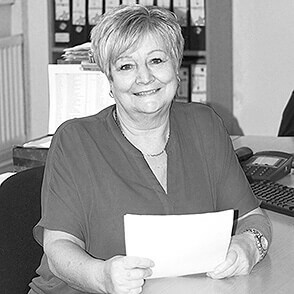 Debbie Corker has worked for Concentric Birmingham Limited for 11 years. As Credit Control Manager, she is responsible for managing the cash book, overseeing the process of invoicing for the UK business, recovering unpaid accounts, banking cash, advising the Profit and Loss account, facilitating the banking arrangements and maintaining debit and credit notes with customers. She also manages payroll and supports her Manufacturing Engineering and Environmental colleagues to generate revenue from waste products from manufacturing processes, making her a key player in our sustainability efforts – in economic, social and environmental terms. Interview with Debbie Corker, Credit Control Manager, Birmingham, UK. “Cash flow is of vital importance to the economic sustainability of any business,” Debbie says. “Whilst it may look better to have large inflows of revenue from sales, no business can survive long without enough cash to meet its immediate needs.” By controlling cash and ensuring that money owed is collected on time and that we pay creditors in accordance with our contract terms, Debbie helps to ensure that the cash position of the company remains healthy. As well as maintaining the cash books, Debbie also tracks spend against budget. By ensuring that the Birmingham business stays within budget she helps to ensure that the Company does not over-extend itself. Concentric has clear processes and procedures drawn up to show how we work across the business and Finance is no exception, according to Debbie. “Our processes are regularly audited for external certifications such as ISO accreditations from British Standards and we are recognised for business excellence awards through EFQM where sustainability is an important criterion for success,” she explains. Debbie’s role is closely integrated into the business, with many contact points. “Concentric’s customers are big companies that generally pay according to a timetable, usually on time, but when queries arise, I’m the one who follows them up with my colleagues in the sales, quality and logistics departments,” she says. Debbie also oversees and reconciles all the payments to the government for payroll taxes and social security, as well as contributions to pension providers. “There are big penalties for companies that do not pay on time so ensuring our compliance in this area also contributes to making Concentric a sustainable employer,” she explains.